Thread: Southbridge cooling or Tri Sli ???? I need some help if possible.....I'm currently in the middle of my first case mod &#34;Tank's for the memories&#34; and I need some help..
And in doing so I am trying to get as much on it as possible.. Water cooling, better CPU, RAM, and three GPU's..
My problem is occurring when I have all three graphics cards in place ( 3x EVGA GTX 260 super clocked ) and water cooledÃ¢â‚¬Â¦ there appears to be no way of attaching any water cooling block to the south bridge. As when i have two GPU's in position they take up slots 1 and 3 on the board but when i put the 3rd card in thats when it blocks the sothbridge all together. I have found some pics on-line (as I am at work right now) they should be good enough to get my point across. 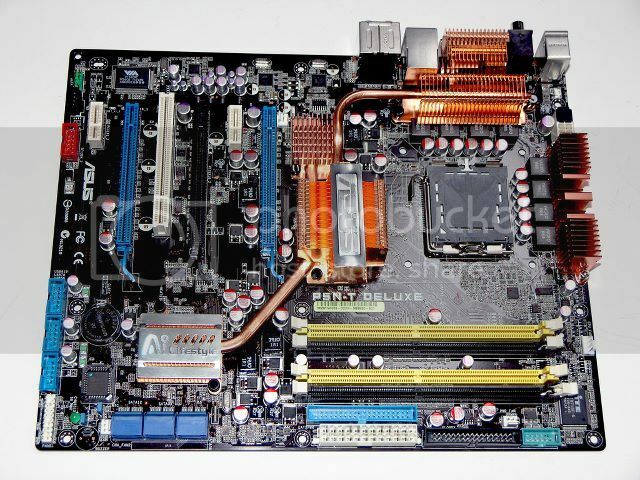 Hell if you could cool it from the back side of the board that could be doable (space wise) can you cool chips from their back side of the mother board???? Any suggestions will be most welcome as i would realy like to have me cake and eat it with this one. 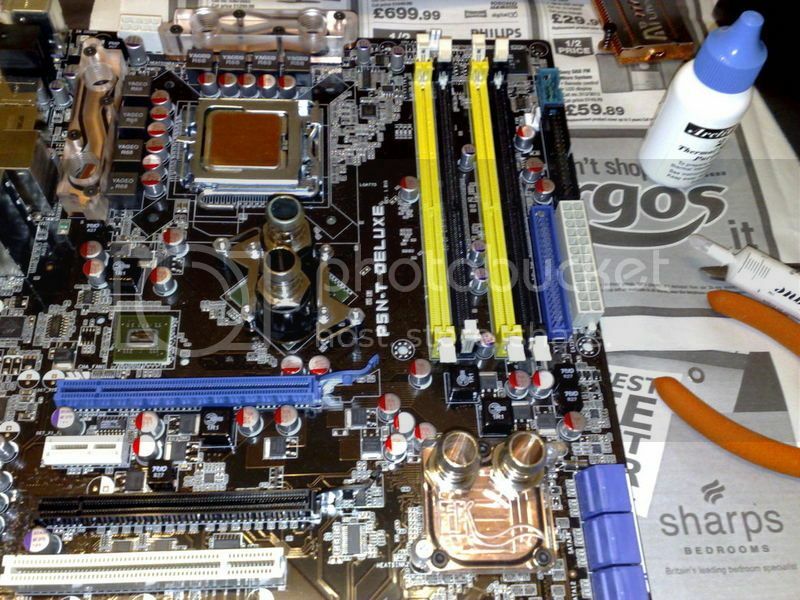 With the GPU Water blocks in place the card should have enough empty space on the edge of the pcb for the tubing to run. is the SB getting hot enough that it is a concern? the SB is not that warm you can actually get away with something simple like this I used to use for custom builds when liquid cooling would not fit. 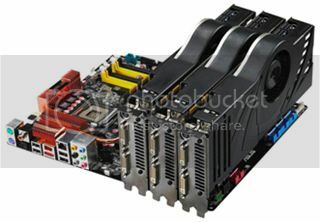 granted taht is not available but any low profile cooler should do the job as the Southbridge chipset honestly does not get that hot and even with triple cards it is pretty tolerant of heat.